How I’m getting my skin ready for spring. My sweeties, I hope you’re having a great Easter weekend, eating lots of sweets and relaxing with your loved ones. I, for my part, have prepared a very special beauty post for your all today. It’s all about a truly exciting and relevant topic: facial masques. 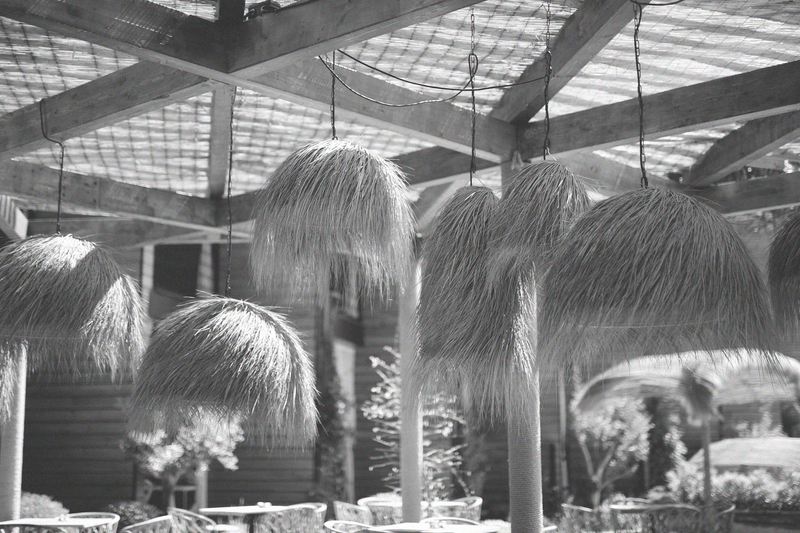 They are so hot right now in beauty land and are said to do true wonders to your skin. I’ve been hearing about them everywhere, but to be quite honest, I’m quite the traditionalist when it comes to face masques. 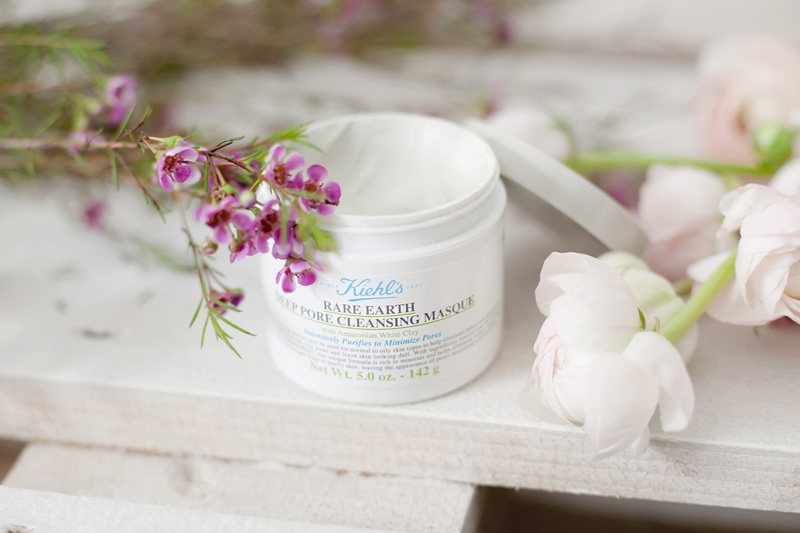 Because, if you remember one year ago, I’ve already talked about my favourite facial masque in this beauty post, the Rare Earth Deep Pore Cleansing Masque by Kiehl’s. And I can tell you, this cleansing masque is absolutely ideal to minimize large pores and it also leaves a super soft feeling on your skin. Oat flour and Aloe Vera help the skin to relax and heal. I like to use this masque once every week, leave it on for about 10 minutes and then wash it off with warm water. Afterwards, I like to use a light day cream on my face. But now, Kiehl’s offers even more and different facial masques which is just so cool. Like I said, this topic is so hot right now. 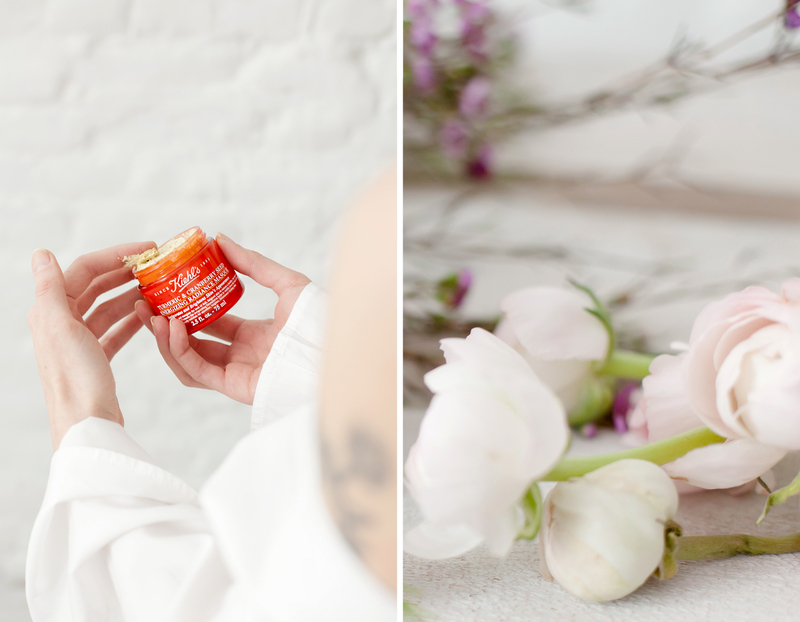 I already had the chance to try out the two new masques and wanted to tell you just a little bit about them. By the way, in all Kiehl’s stores, you can get little trials of the masques – isn’t that cool? Vitalizing and refreshing – that is the new Kiehl’s Turmeric & Cranberry Seed Energizing Radiance Masque. It gives your skin new energy and vitality. Moreover, it smells so good thanks to turmeric extract and cranberry! 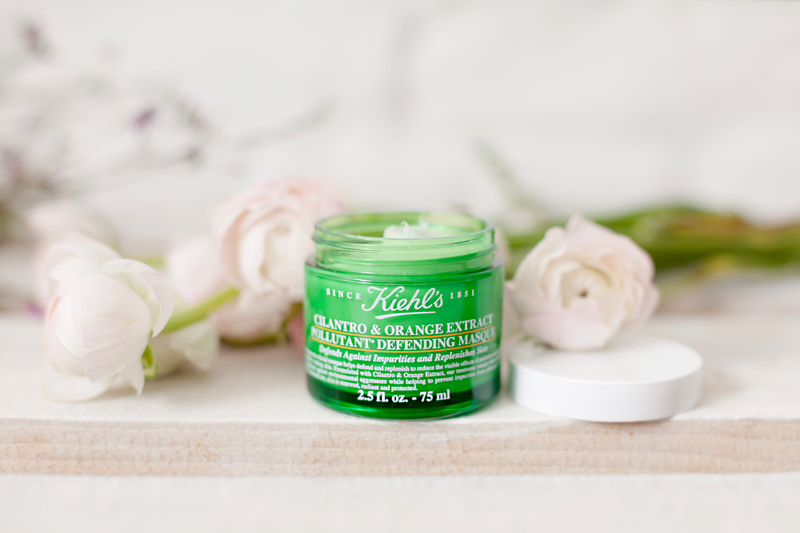 Nourishing and protective on the other hand is how the Kiehl’s Cilantro & Orange Extract Pollutant Defending Masque works on your skin. It protects the skin from pollution. The masque nourishes the skin and helps to reconstruct the cells which makes it much much stronger. And what about you, guys? Have you already become masque fans? If not, do try it out. You won’t be disappointed and is there anything nicer in this world than spending a full Sunday relaxing, putting on a nice face masque and reading a lovely book in your bathtub? I can’t think of anything better to relax. 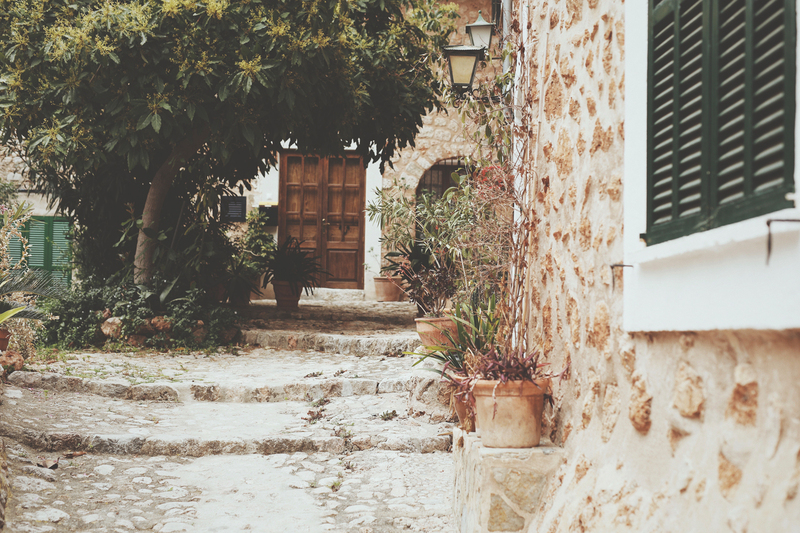 Have a lovely day, sweeties. Kiel’s are a great brand and I love their products! Traumhafte Bilder! Bin hin und weg :)) Tatsächlich hab ich hier auch einige Kiehls Produkte rumfliegen und benutze am liebsten das Lipbalm.